Altcoins are cryptocurrencies other than Bitcoin. The majority of altcoins are forks of Bitcoin with small uninteresting changes. Altcoins are the later alternative cryptocurrencies launched after the immense success Bitcoin had after its release in 2009. In General, altcoins are alternatives to bitcoin because they tend to improve and solve the Bitcoin protocol limitations and features. Alternative currencies aim to be better substitutes to Bitcoin. The success of Bitcoin as the first peer-to-peer digital currency facilitated the introduction of other similar digital currencies that followed. Altcoin is a combination of two words: “alt” and “coin”; alt is short for alternative and coin as to do with currency; together they imply a category of cryptocurrency that is alternative to Bitcoin itself. Many of the altcoins are built up on the basic framework provided by Bitcoin. Most altcoins are peer-to-peer, involve a mining process and offer more efficient and cheaper ways to carry out network transactions. Even with many overlapping features, Altcoins have very distinct features and vary widely from each other. Many altcoins are trying to target any perceived limitations that Bitcoin has and have presented newer versions with competitive advantages, and therefore the competition is intense and is giving grounds to a great variety of altcoins. After the success story of Bitcoin, many other peer-to-peer digital currencies have emerged in an attempt to imitate that success. The main reason for altcoins to emerge was to improve Bitcoin’s flaws and to somewhat, try to compete with bitcoin by innovating and developing new features as to improve and surpass bitcoin limitations. Another important factor was the transaction time. Many altcoins like Litecoin (LTC) and Fastcoin (FST) have blockchain update times of one minute or under, which is a lot faster than bitcoin. So, in a way, these alternatives to bitcoin, can definitely speed up commerce by offering faster transaction confirmations. However, we must always take in account that some coins are really great at one thing and probably not so good at another. What’s so exciting about altcoins is that you don’t ever know which altcoin is going be a winner. There is no finish line in this race, only a competition that can best meet the various needs of the users. Litecoin was the third digital currency to emerge after namecoin. It gained immense popularity and so far is still seen as the closest competitor to Bitcoin. Perhaps the least intuitive aspect of the Bitcoin network is the proof-of-work concept it uses to define the requirement for the generation of a new set of transactions block to be added to the distributed transaction database blockchain. Mining is the term used for running a series of calculations on a computer to verify the transactions that take place in the Bitcoin or altcoin network. In the bitcoin network, about every ten minutes, a new block of transaction data is created and the miners who created the block are awarded a few bitcoins. This serves the Bitcoin network both as a system to verify transactions and as a system for fairly distributing new bitcoins. This is the same for altcoins, miners verify transactions and secure the network and are rewarded with some coins. While bitcoin mining relies on SHA256 mining algorithm newer and more innovative versions are getting launched that offer innovation in areas like transaction speed, privacy, proof-of-stake, DNS resolution and more. A few of them have gained popularity; the rest are lesser-known. Examples of different mining algorithms are: Scrypt, X11, X13, Lira2RE, Keccak, Quark, Groestl, ets. Developers tend to introduce new mining algorithms in an attempt to tackle ASICs (special designed mining equipment) while trying to introducing more efficient solutions to the mining proof of work. Most computers have multi-core CPUs nowadays, which is almost the same thing as having multiple CPU’s in a single physical package. The CPU is usually a removable component that plugs into the computer’s main circuit board, or motherboard and sits underneath a large, metallic heat sink which usually has a fan, a few are cooled by water. The GPU, or graphics processing unit, is a part of the video rendering system of a computer. The typical function of a GPU is to assist with the rendering of 3D graphics and visual effects so that the CPU doesn’t have to. A GPU is like a CPU, but there are important internal differences that make them suited toward their special tasks. These are the differences that make altcoin mining far more favorable on a GPU, as for others they use CPU processing. The PoW algorithm used for mining Bitcoin is SHA256. It is used to consensually coordinate transactions within the network and was chosen because it is fast to verify and has been critically analyzed. SHA256 has had ASICs developed for it meaning there is a much smaller risk of centralization. When a mining algorithm is difficult to make ASICs for, there is a higher barrier to entry. A high barrier to entry increases the time that the first group to create ASICs will monopolize the market. Many argue that the creators or the developers could simply change the mining algorithm when an ASIC is developed, but this defeats the purpose of decentralized consensus by causing centralization. If these cryptocurrencies do have a healthy number of companies producing ASICs and have avoided centralization, they still are using algorithms that take longer to verify than SHA256. Therefore, at best a cryptocurrencies with merely a hashing algorithm change are as good as an exact clone of Bitcoin and not better (however since Bitcoin already exists, an exact clone of Bitcoin has no innovation or value). If the hashing algorithm is slower, as most altcoin algorithms are, it is a disadvantage because it takes more processing time to validate a block and increases the number of organic re-orgs (makes it easier to double spend). This class of cryptocurrency is in many ways either insecure or centralized, however proof of stake (based on a PoW currency) is useful in some systems because gaining stake is costly, but it isn’t workable for bootstrapping distributed consensus. In Proof of Stake, instead of sacrificing energy to mine a block, the staker must prove they own a certain amount of the cryptocurrency to generate a block. The more stakes the user owns, the more likely he will generate a block. Bitcoin is very similar to HTTP. It is an application layer protocol and tools can be built on it; like websites can be built on HTTP, as well as many other applications. There is a class of cryptocurrencies that promise features like casino websites and exchanges and anonymity protocols to be built on top of them. These are applications built on top of an Altcoin Blockchain. Let’s take as an example the counterparty platform: Counterparty is a peer-to-peer financial platform and a distributed, open-source Internet protocol built on top of the Bitcoin blockchain and network. By encoding data in ordinary Bitcoin transactions, Counterparty extends Bitcoin’s functionality in new and unprecedented ways, opening the door for innovation. The Bitcoin protocol stays exactly the same, while supporting the development and adoption of valuable new features, all secured by the full power of the Bitcoin network. This platform provides users a functioning decentralized exchange, as well as the ability to create Tokens (virtual assets), issue dividends, and create price feeds, bets and even smart contracts. This means that Altcoins and Bitcoin itself have the ability to work as programmable money which can be very useful in cases such as property transaction, notary document validation, etc. The each and every altcoin Blockchain can work like a layer where new and innovative applications can be developed. Since 2009, when Bitcoin became the first decentralized digital currency and numerous altcoins started to emerge, the market cap term has also come into common use to describe the total dollar market value and available supply of the total amount of digital currency in circulation. The term sometimes can refer to the estimated market value of the total digital currency amount that will ever be in circulation. Altcoin are traded in exchanges, just like bitcoin. They all have different supplies and its value against bitcoin. 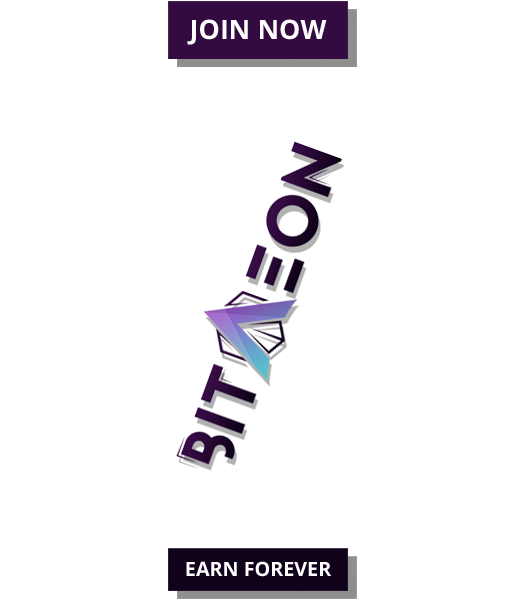 To learn more about altcoin prices you can visit the crypto coin Market Cap here.